So, as a Julep addict I spent a little too much after the past few weeks. First we had an AMAZING December Maven Box, then we got hit with Black Friday, Secret Store and Cyber Monday sales. My bank account and I are not on good terms, let’s leave it at that. My perfectly manicured (pun totally intended) cosmetics collection has pretty much imploded and now everything is a mess. My once perfectly organized bookshelf is over crowded, and I totally ran out of room for my Julep’s to display. I don’t see myself halting on the nail polish anytime soon either, so obviously I need to look into other storage options. Also, I know I’m moving soon – so anything mounted or extremely heavy is an absolute NO! 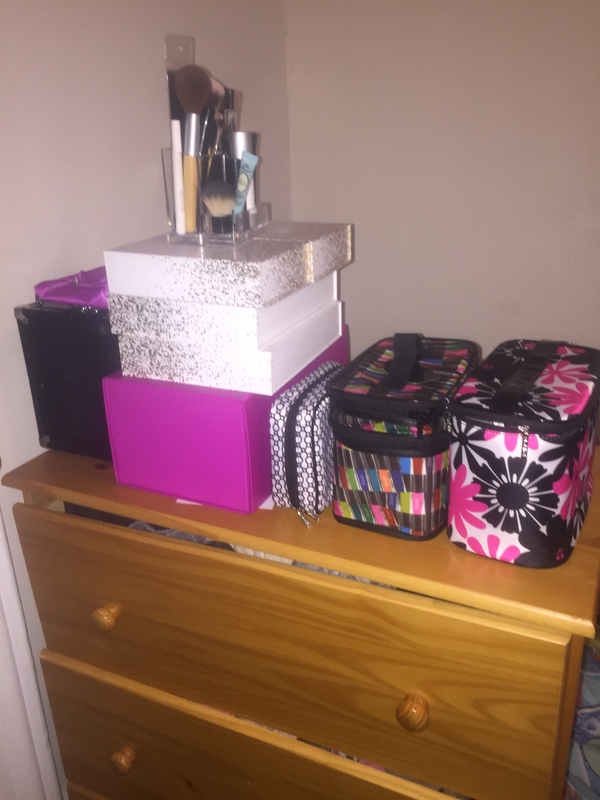 Okay, so it’s not that bad – but I don’t even open anything without stuff flying all over the place or completely moving everything just to open one thing – it’s a mess. I have too much on there. Sorry about the skewed drawers, some 4 year old boys literally CANNOT walk into bedrooms without opening them. 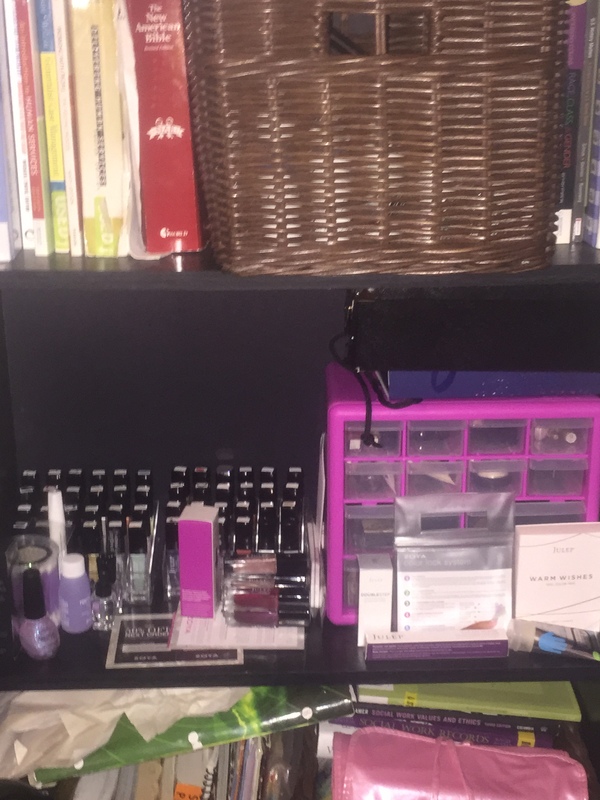 So I begged and pleaded some of my fellow nail addicts for some guidance on how to store all my stuff, and they did not disappoint! This THING IS AMAZING! There is so much storage, in a small space, lightweight and portable! You can snag one of these babies on Amazon for $63.99 with FREE shipping if you have Prime! Prime is $49 a year, but good golly it’s worth it. Free 2-day shipping on a TON of items, it’s outrageous. I cannot wait to show you what I do with this! Should be here by Friday – the store does have an extended processing time, but still worth it, imo, with the free two-day shipping! ← I just moved from Blogger! Glad you liked it! Good luck in the new home, I’m getting ready to move too – so much to do!